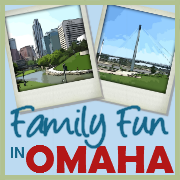 Your local resource for family-friendly activities and events in Omaha. 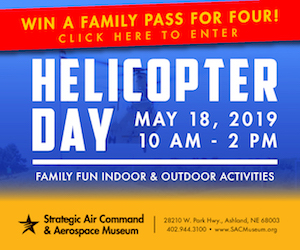 Kite Festival, Free Comic Book Day, Living History at Fort Atkinson (with Park Permit), Free Admission to Lauritzen Gardens, Spring into Summer, Superhero Sunday, and so much more! 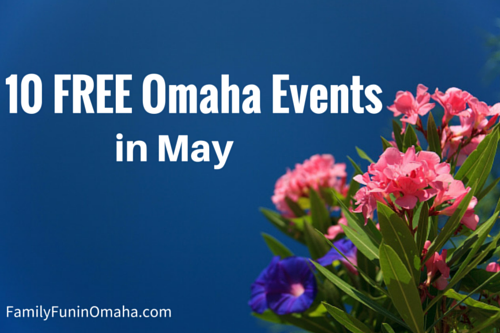 Enjoy many family-friendly events coming up in Omaha, including these 10+ FREE Events in May! 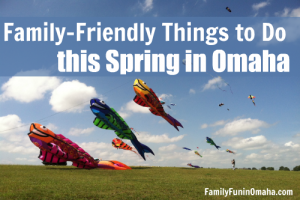 Join our growing community and keep updated on Omaha family-friendly events and activities and Sign up for our Free Email Newsletter! Please Note: Most events at the State Parks and Recreation Areas require a Park Permit ($6/daily, $31/annual). It is always a good idea to verify before visiting as details may change. It’s the 150th anniversary of the transcontinental railroad! The museum is having a sonic celebration and exploring the resonances and reverberations of this major moment in history to celebrate. This event is free and open to the public. Location: Union Pacific Museum, 200 Pearl St., Council Bluffs, IA. Kids can build a blooming work of art to gift or put on display. While supplies last. Enjoy fun events and free comics at the annual Free Comic Book Day. Enter your zip code for participating locations near you. Join in the fun each half hour for an introduction to GPS units before hitting the trails on their own adventure. Search for clues & follow your GPS as you make your way to a secret destination. All ages welcome. Location: 27792 Ski Hill Loop, Honey Creek, IA. Features floats, marching bands, and other entertainers along historic 24th St. Rain or shine. Experience Living History at Fort Atkinson State Historical Park with interactive activities. 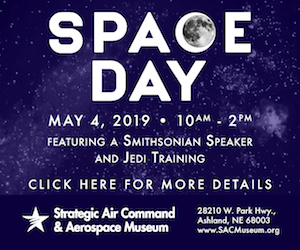 Bring your family to a galaxy not so far away for a fun night of activities and stargazing suited for Jedi’s of all ages. Location: 3033 Hummel Rd., Omaha, NE. Bring your own kite, and kids can bring a bag for the candy drop. Location: La Vista Soccer Complex, just south of 66th St. & Harrison St., La Vista, NE. Please Note: These events are dependent on the weather and schedules can change. Games, snacks, obstacle course, and more! Location: Blair Police Department, 1730 Lincoln St., Omaha, NE. Bike rodeo, bike safety check, free bike helmets to kids who participate (must be present to be fitted and get a helmet, while supplies last), and more. 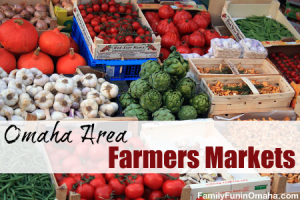 Mother’s Day Fun and Freebies! Thank you teachers! Enjoy specials at Chipotle, Raising Cane’s, and more! From 5:30-7:30 p.m. enjoy fun park activities, including bounce houses, s’mores, canoeing, archery, rock wall, DJ and more! The first 100 people receive a free Kona shaved ice! Food trucks will be on-site. From 7:30-9:30 p.m. Taxi Driver will be performing. Kids are invited to decorate a JoJo Siwa or Teenage Mutant Ninja Turtles Mother’s Day Card. Locations: All JCPenney locations, including Shadow Lake Towne Center, 7751 Town Center Pkwy., Papillion, NE & Westroads Mall, 800 N. 98th St., Omaha, NE. Location: 11809 Old Maple Rd., Omaha, NE. Location: 120 Regency Pkwy., Omaha, NE. Visitors to Lauritzen Gardens on this day will enjoy free admission and an opportunity to learn about the various offerings the garden provides throughout the year. ENTER TO WIN 4 Single-Day Passes to Lauritzen Gardens on our Facebook Page – 2 Winners! Spring into Summer with Omaha Parks and Rec with bounce houses, rock wall, interactive booths, golf, DJ, fishing, face painting, tennis, soccer, smores, dancing, food trucks and much more! Location: Benson Park, 7002 Military Ave., Omaha, NE. 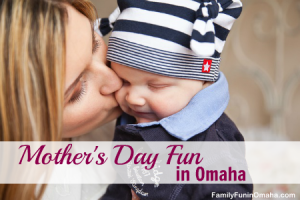 Find out more about Mother’s Day fun and freebies! Come to one of the state parks, state recreation areas, or state historical parks for Free Park Day! The route begins and ends in Downtown Council Bluffs, and is centered around the historical and beautiful Bayliss Park area. After the parade, activities abound in the park including music, kids activities and carnival rides (extra charge for some activities and carnival rides). Interactive displays hosted by Omaha Parks, Recreation, and Public Property, and Omaha Public Library. Location: Elmwood Park, 808 S. 60th St., Omaha. CHI Health is saluting everyday superhero families with an afternoon of free festivities. Location: Werner Park, 12356 Ballpark Way, Papillion. Parade, Hot Wheels races, community cookout, fireworks, free concert, family pool party, and more. Fun evening of archery and shooting sports. Location: Platte River State Park, Outdoor Heritage Education Complex, 14421 346th St., Louisville, NE. 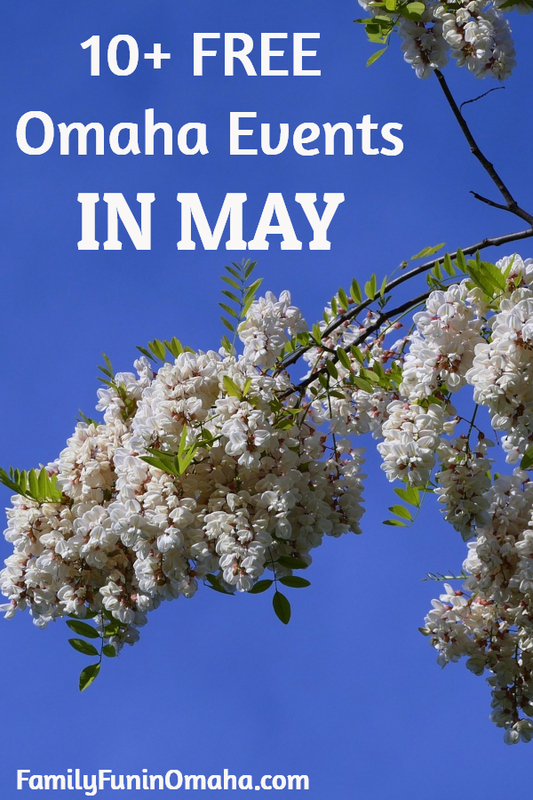 Enjoy many family-friendly events this Memorial Day Weekend 2018 in Omaha! 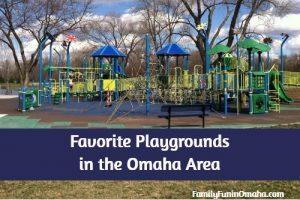 Family Fun in Omaha is your local resource for family-friendly activities and events in Omaha! 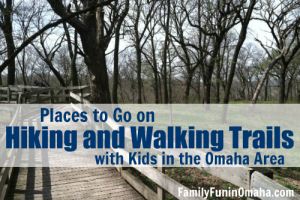 Created by a local Mom who loves finding new adventures with her family and wants to help you enjoy all that Omaha has to offer. We recommend starting here. Thank you for visiting!